Being or becoming a family caregiver can raise a lot of questions. There are many aspects of caregiving that you may be unaware of, or not sure where to turn for help. The list below offers a choice of common questions and concerns family caregivers experience. Simply click the box next to the question that you need answers to and click the submit button. A list of resources, information and other helpful links will be presented. If you need more information please call 1-800-360-6161. I want to make changes in all aspects of my life. Physically, emotionally and financially. Where should I begin? I am new to Caregiving and need some support. Where should I turn? 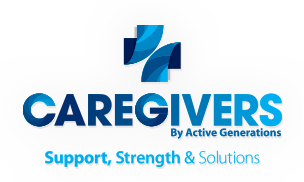 I have a friend or family member who is new to Caregiving and could use some support, what could I suggest? I am overwhelmed by the stress of caring for my loved one. Is there anything that I can do to learn how to manage it? Caregiving takes a significant amount of time that I can't spend on myself. How do I learn to manage it all? I feel overwhelmed and stressed. What can I do? I need help learning to handle all that caregiving involves. Where do I turn to for help? Do you feel uncertain what to do about your relative? Are you finding that the things you are responsible for do not fit very well with what you want to be doing? Are you having difficulty deciding if you should seek out support to ease your caregiving responsibilities and if so, how to go about getting support for your relative and for yourself?